As one of Biotherm's cornerstone range of skincare, Aquasource had expanded earlier this year to include a new night time offering. Following the popularity of night masks and nightly restorative products recently hitting the Western beauty market, Ever Plump Night* is a duo use moisturizer and sleeping mask formulated to replenish, moisturize and restore skin's balance. 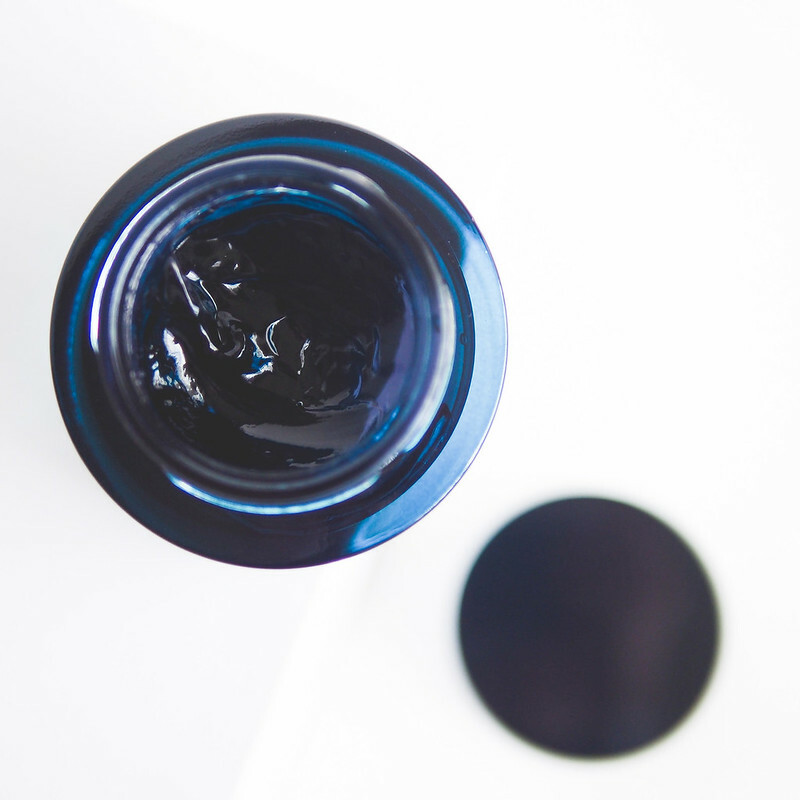 Gorgeously packaged in am ombre glass jar, Ever Plump Night* boasts dark cultivated algae extract as it's highlight ingredient and has a marine fragrance similar to the Life Plankton Essence. 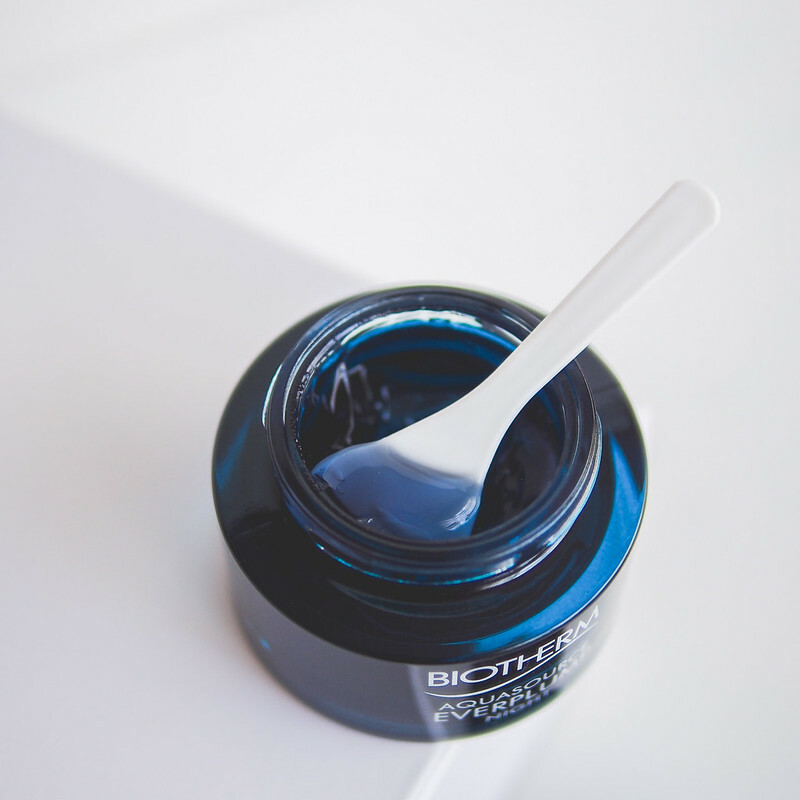 In the jar, the product behaves like a semi-solid jelly but transforms into a smooth gel once applied to the skin and has a soothing cooling effect on initial contact. While Biotherm describes this as a night time barrier that feels like a second skin, this is something that you can and will feel as a slight film since it doesn't absolutely absorb like a regular moisturizer. I don't find it particularity bothersome but it's probably a texture that's better suited to the cooler season. 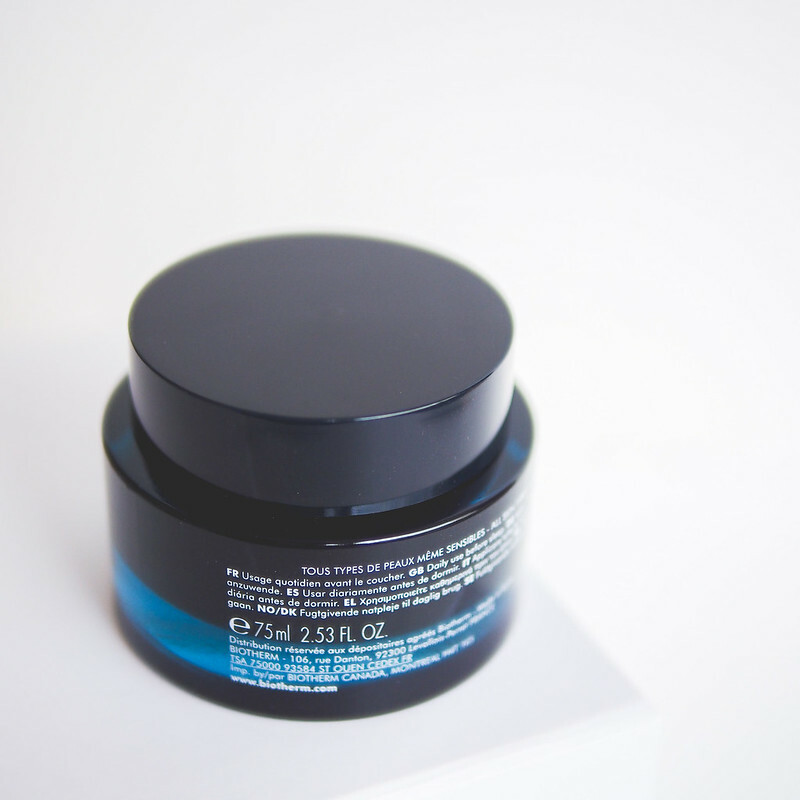 Although blue in colour, the gel won't turn your face blue nor will it leave any residue on your pillow give you apply the appropriate amount. A small nail sized amount is plenty. As it doesn't quite fully absorb, I'd categorize this more as a mask product. I found this to be a great overnight plumper just like it's namesake and there was a noticeable difference the first morning after. Biotherm is really only marketing this as an overnight moisturizer so for all its intentions I was very satisfied with the results. My skin was smooth, felt refreshed, plumped up and... dare I even say... juicy. My pores and skin texture were temporarily smoothed over and in the mirror my morning face looked well rested. There is some slightly shine since the gel is still sitting as a second layer so I do recommend you rinse off during your am routine. The fragrance here while not an issue for me personally, can feel slightly overwhelming if you are new to Biotherm's products. It does linger for about 10 minutes after application. I did not experience any breakouts or sensitive reactions but I would not layer thing over super nourishing products, especially in humid / summer seasons as it can be too heavy and potentially be pore clogging. Rinsing off the morning after is recommended. After my wash routine, toner, essence and in place of my moisturizer. 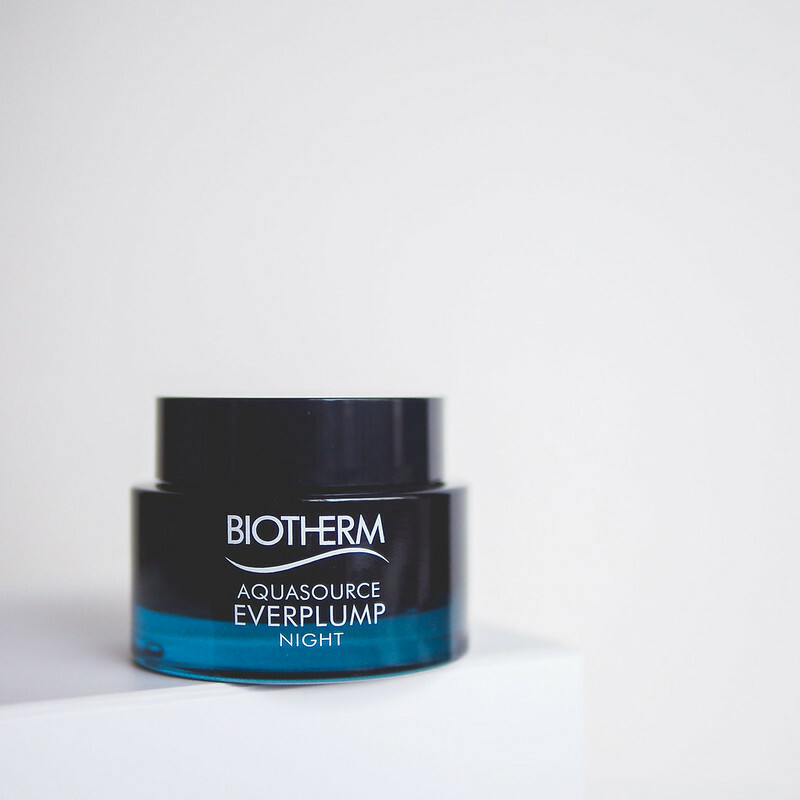 Biotherm's Aquasource Ever Plump Night* is a great pick me up product to keep by your bedside. Whether you choose to use it nightly as a regular moisturizer or occasionally as a sleeping mask, it plumps up the skin after a hard days work and temporarily smooths over skin texture and fine lines. The gel like texture covers like a thin mask so it is something that takes getting used to but it shouldn't be uncomfortable to use. The large format of the jar slightly offsets the price point compared to other Aquasource products. I would recommend this to those with dehydrated, combination or dry skin types and those in all age groups. The neutral scent and texture of Ever Plump Night lends itself as an inviting unisex product so do share this jar!